How do we end up doing what we do for a living? In my experience of interviewing people I have found that it’s rarely a straight line. For many of us, it’s a journey with many twists and turns. When I was five, I knew more than anything else that I wanted to be a fireman. I wanted to save people’s lives. By age seven the dream had evolved: I wanted to be a police artist and draw the pictures to catch the bad guys and help people. Then, by the time I was nine, it was clear to me that I was destined to be a rock star. I wanted to rock the house and give people an experience of feeling alive — a feeling they’d never ever forget. By the time I was twelve, my father, Jim Robbins, had entered my life. He’d previously been a semi-pro baseball player, and my love for him grew into a total love for the sport. He used to hit me ground balls, literally hundreds of them, on days that were burning hot and smoggy in Glendora, California, just east of L.A. We’d be out there for five or six hours, but much to his chagrin, I just didn’t have the talent to catch the eye of any Dodgers scouts. The grounders would scream at me and pop into my head and I’d be bleeding, and he’d say, “Stay tough, big Tone.” That’s how I learned moxie. When I was in junior high, I tried out for the baseball team. We went through four cuts and when it came to the final cut, I didn’t make it. I just couldn’t hit the curveball. I was completely devastated. What am I going to do with my life? I thought. I’m fourteen and my entire career path has been annihilated! If I can’t make the junior high varsity baseball team, how will I ever make the high school team — much less get a scholarship to USC and then play pro ball? My life is over! I laugh at this thought today but it felt like life and death for me at the time. So I made a very quick shift. I began to ask myself some questions: what were the common denominators in all the things that I wanted to do? I wanted to help people in their lives. I wanted to live passionately. I wanted to give people some kind of unforgettable experience. I wanted to be with people and see them to their peak states of celebration and excitement. Well, I might not be the source of it as the athlete who could win the game in the bottom of the ninth, but perhaps I could be the person who augmented the experience of fans and players everywhere, as a writer and sportscaster. So at 13 years old, I was an eighth-grader armed with a reporter’s notebook. I signed up for two classes I was certain would catapult me to the press box big time — typing class and short-hand writing. I was the only male in either class. But believe it or not, I wasn’t in there for the smart ladies, I was there to learn how to capture information as quickly as possible. I was a fairly bright student, so I was offered an independent study assignment. I decided to interview athletes; I didn’t want to wait to become a sportscaster or sportswriter — I wanted to do it right away! When I learned that Howard Cosell, the famous sportscaster, would be signing autographs for his book at Robinson’s Department Store in Los Angeles, I saw that as my opportunity to learn from the man who was considered the best in the business. 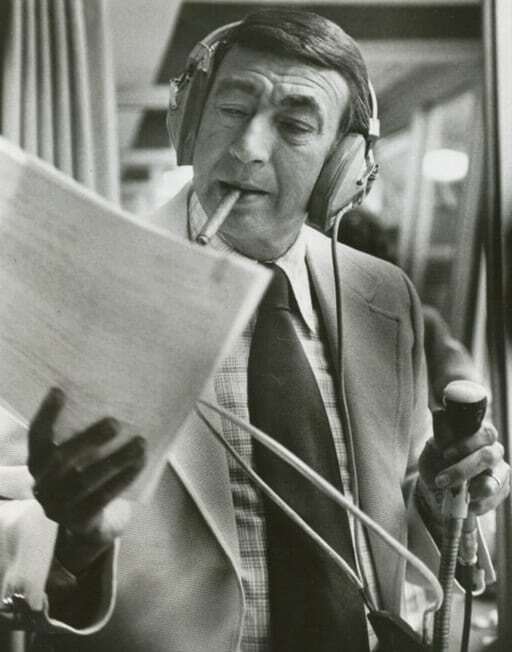 Howard Cosell in 1975, just a few years after we met. I replied, “Can I ask you one last question?” At that time, he had a huge rivalry with a famous sports radio host in Los Angeles named Jim Healy; every Tuesday morning, Jim would play Howard’s Monday Night Football flubs over and over again, and mock him. My local newspaper was impressed. They asked me to write an article; true to form, I wrote twenty-two pages on my interview! That may be the most distinguishable thread to have survived my career evolution. (Maybe this post shows the same pattern of length…) But the newspaper article was eventually published in six paragraphs and I was offered a regular column. I worked for my daily newspaper from age thirteen to fifteen. I was officially a sportswriter, and I thought for sure this would be the ultimate direction of my career. Then I got my big break: Local L.A. television station KTTV Channel 11 (now a Fox affiliate) decided that they’d do almost anything for ratings. They were trying out a variety of unique sportscasters, and even tried the noted stripper, Fannie Fox, just for publicity and attention. 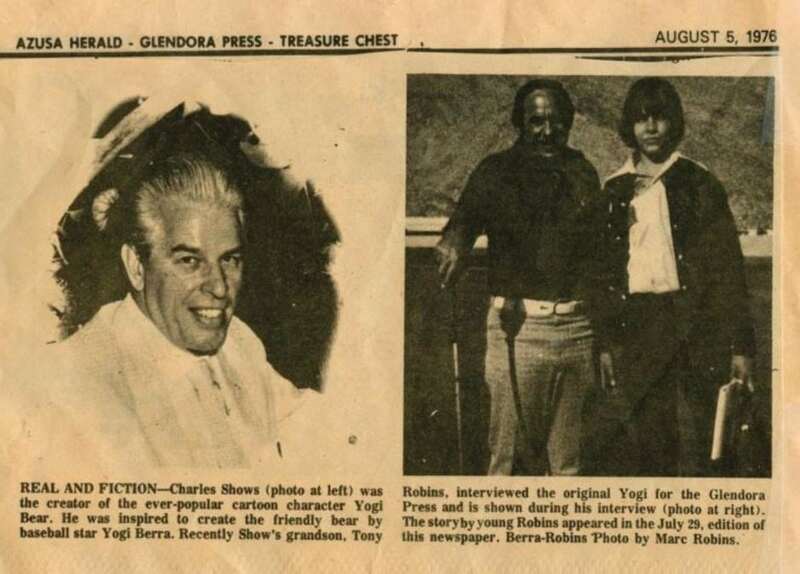 When they heard about a young sportswriter that was interviewing Joe Namath and a variety of top athletes, they came up with a brilliant idea. 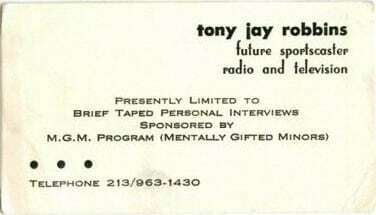 At fifteen years old, they offered me a full-time position as an on-air nightly news sportscaster. But just as fast as the ultimate dream job opportunity came in, the wind was taken out of my high-flying sails and I was hit by the ultimate curveball. My mother decided, rightly or wrongly, that my ego had gotten too big, and she forbade me from taking the job and effectively ended my sports writing career for the newspaper on the spot. And that was that. No ifs, ands, or buts. So, how did I end up where I am today? In high school (when I was still 5’1”), I fell in love with the head cheerleader. She was the archetype of beauty, humor and fun and clearly way out of my league. She had been dating her boyfriend for awhile (the senior captain of the football team, of course) but as homecoming luck would have it, they broke up right before the big dance. She was a free woman! But the word was out that if anyone dare ask Nancy Coleman out, the big bf would beat the daylights out of them. So with all of that moxie I had honed on the little league field — or maybe just a little high school stupidity — I thought, I’m going for it. The speech he gave me was called “The Will to Win,” and all I can tell you is, the first time I read it through, I cried my eyes out from its effect on me. The speech was about someone who refused to give up because they believed that their life was meant to be something more than they were currently living. It was about overcoming every obstacle, every kind of pain, every tragedy, with sheer will and persistence that is only possible when someone feels a calling to serve beyond themselves. In other words, it was my life. I gave the speech, I won first place, and found my new direction. I could use my voice, my heart and my soul to touch people and help them take the action that would truly change their lives. Today I get to use all my creativity to entertain, educate, and move people to transform. The road to my career has been and continues to be a path filled with the privilege of knowing people’s deepest fears and intense desires. It has offered me the opportunity to work side-by-side with some of the most extraordinary human beings in history—Nelson Mandela, Mother Teresa, Mikhail Gorbachev, Princess Diana, President Clinton, in addition to so many of the best in the world of entertainment, sports, and finance. I have been there with those leaders — portraits of success — during their most difficult challenges, the moments where history was being shaped. Whether lives are full or fame and fortune or whether life is the small business that they pour their soul into, or the everyday moms and dad who work themselves to sleep providing for their family, I get to help people find the strategies and discover solutions that turn things around. I’ve been able to study the unifying human nature and piece together patterns that will make or break our life experience. As I look back, I realize that I have found a way to be the fireman who can help when things are “burning down” for people. Or like the police artist I can help them uncover the culprit that’s “robbing them” of life. I get to rock the house like Springsteen or Jagger — even though I clearly cannot sing. Plus my concerts are 50 hours long! The energy and power of a stadium filled with anticipation is where I go to work everyday, that’s my office. It may not be a baseball diamond but I’m on the field every day. How is it I have the privilege to travel the planet and do something that has such a deep sense of meaning? How incredibly fortunate am I that I get to support people from all over the earth? I couldn’t have planned this adventure in a trillion years. So how DID I get here? Some would say it’s random chance, some may say it was dumb luck, others still might call it hard work, or destiny. I choose to see God’s hand in it and I call it Grace. I believe I have been guided to this life and I know that I must continue to do my part. Who would have thought all those childhood visions could come together as this crazy life of mine. I think part of what has guided me is the belief that life is not happening to us, but rather it’s always happening for us. It’s our job to find the perfection in it all. Even in our darkest times we are able to find the seed of our future greatness if we look. Everything happens for a reason. Yes, even problems are gifts. Perhaps God’s delays are not God’s denials. Now that I think about it, maybe my dad Jim Robbins would be proud of how I handled those curveballs after all.